Sometimes one doesn't need to spend a whole day in the kitchen to come up with great dessert. 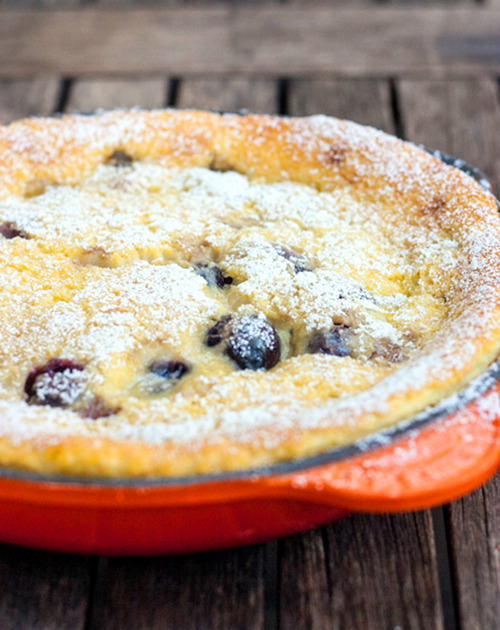 Clafoutis is simple in every way imaginable. Simple ingredients, quick preparation, then come the aroma and flavor that make you come back for more and more. This is one cake that deserves a standing ovation. 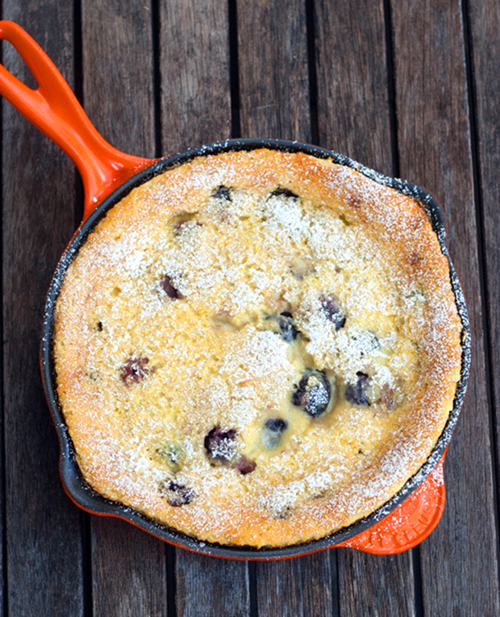 Pre-heat the oven to 425 degrees F. Grease a 9" cast iron skillet or baking dish with butter; set aside. Combine sugar, milk, kirsch, vanilla, eggs and salt in a blender. Blend for a few seconds to mix ingredients, then add flour and blend until smooth, about 1 minute. 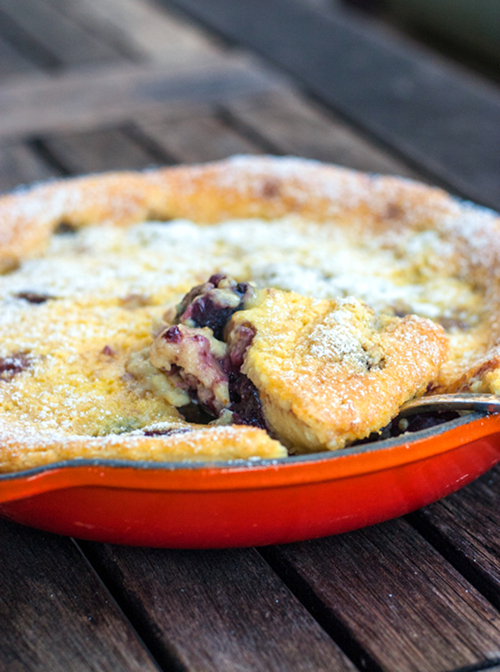 Pour batter into greased skillet, then distribute cherries evenly over the top. Bake until skewer inserted into the center comes out clean and a golden brown crust has formed on top and bottom of Clafoutis, about 30 minutes. Dust with powdered sugar before serving. Serve warm. I've always fancied making this, it looks lovely. I didn't realise it was so simple. Going to give it a go.. I was going to try this recipe tonight, but actually, it sounds kind of awesome for brunch on Saturday morning instead! Yum!